Jenelle Evans Baby Daddy David Eason Sentenced To 60 Days In Jail! Well, well, who’s surprised that Teen Mom 2 star Jenelle Evans gets to add to the family mugshot collection? Honestly, it oughtta be a coffee table book at this point. This time the culprit is Jenelle’s baby daddy David Eason, who has been sentenced to 60 days in jail for violating a protective order against his ex-girlfriend and child. In March, David, who has a criminal record and previously served time in prison, violated a no contact domestic violence protection order regarding his son Kaden. The order was filed last October by Kaden’s mother, David‘s ex, who he’s also not permitted contact with. Is Teen Mom 2’s Jenelle Evans Going To Be Featured On A New Reality Show? Oh goodness. When are we going to stop rewarding bad behavior? Who I am kidding? It’s clearly the American way! Well, if we’re going to give a reality train wreck another set of cameras and a captive audience, I guess Jenelle Evans is as deserving as anyone. There won’t be a shortage of drama, that’s for sure! The Teen Mom 2 star has allowed us into her life (and her court hearings and her drug testing and her prison cell and so on and so on) for the past several years. When she’s not being arrested for parole violations or swapping boyfriends or having babies, Jenelle likes to share with her fans via social media. The mom to six-year-old Jace and two-year-old Kaiser, who is expecting a daughter in January with a new beau, recently tweeted about suing a television network. Is she planning to bite the hand that feeds her? This pregnancy has been pretty dramatic for Jenelle Evans. 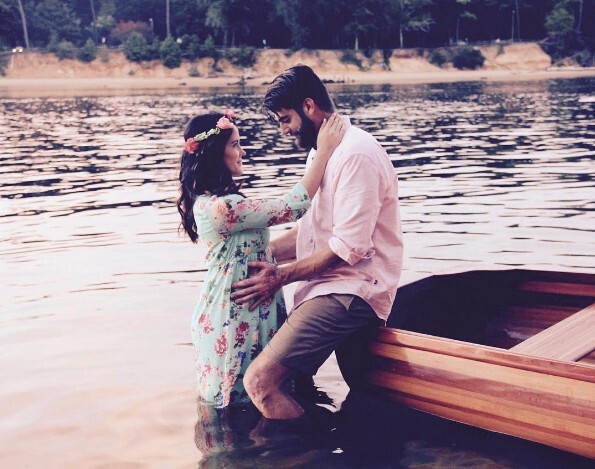 There is finally some good news for the Teen Mom cast member, she has shared the gender and due date for her baby with her boyfriend David Eason. Initially, Jenelle adamantly denied that she was pregnant. Then it was revealed that she actually is expecting when she and her boyfriend were in a car accident and the pregnancy was revealed on the police report. And as a result, Jenelle received a lot of backlash on social media. Now that Jenelle is embracing her pregnancy, she has shared some information with her fans. Jenelle Evans was outed as “definitely pregnant” this week after weeks of denial. 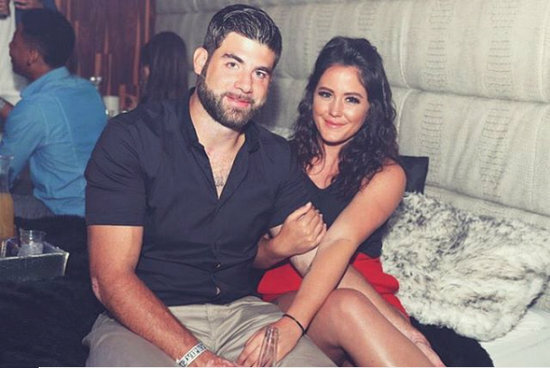 The Teen Mom 2 star was involved in a car accident with boyfriend David Eason on July 6th and the police report just hit the internet, confirming that Jenelle is indeed pregnant with baby #3. A while back we speculated that Jenelle might be expecting again since she started covering up her middle in every photo or only showed herself from the chest up. She denied the rumors and even started posting flat belly photos (like this one featuring a “bloated belly” and the “after” of a flat belly to promote a tea..) to prove her claim and to renounce what The Ashley’s Reality said about the pregnancy. 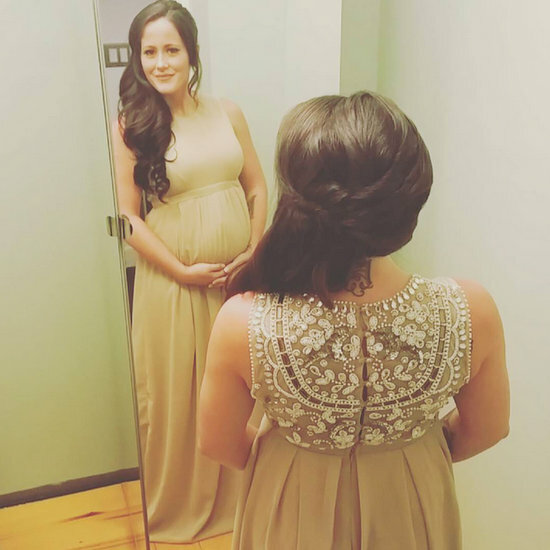 Update: Teen Mom 2 Star Jenelle Evans Pregnant With Baby #3?? Oops she did it again? Rumor has that Jenelle Evans is pregnant with her third child. The Teen Mom 2 star is denying the latest reports, but sources are adamant that she’s expecting a baby with her newest guy, David Eason. Jenelle Evans Already Planning More Kids? Spends Time In The Hospital! Everlasting trainwreck Jenelle Evans has a new man, but the same old habits! Since ditching GTJ (Gym, Tan, Jail) Nathan Griffith she’s moved on with David Eason. David is allegedly another ex-con with custody issues, and she’s already spending every waking moment with him it seems. The Teen Mom 2 star has been touting her love for boyfriend of 16 minutes David on social media. Unfortunately a recent date was spent with Jenelle in the hospital. True love waits… beside you in the emergency room! Teen Mom 2 star Jenelle Evans, who is 9 months pregnant and due June 29, celebrated with a baby shower over the weekend. "Had the first baby shower today," Jenelle tweeted. "Had a great time and got a lot of awesome gifts." Of course dad-to-be Nathan Griffith, Jace, and Barbara Evans were there too. Jenelle announced the pregnancy – which they planned – in December and the gender reveal – it's a boy – in February. Nathan and Jenelle decided to name their son Kaiser, which means Emperor in German, and they decorated his nursery with a king theme. Jenelle shared pictures from the baby shower via Facebook. You know, I have to give credit where credit is due, she looks happy and healthy. 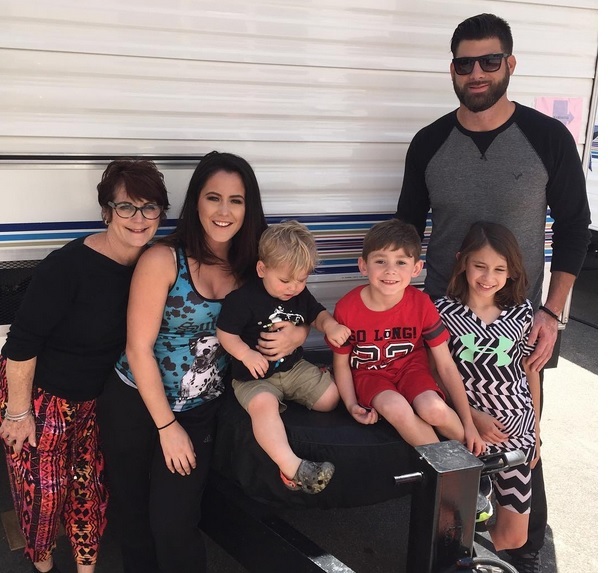 Happy can be faked for the camera – healthy not so much, so Jenelle's doing something right. 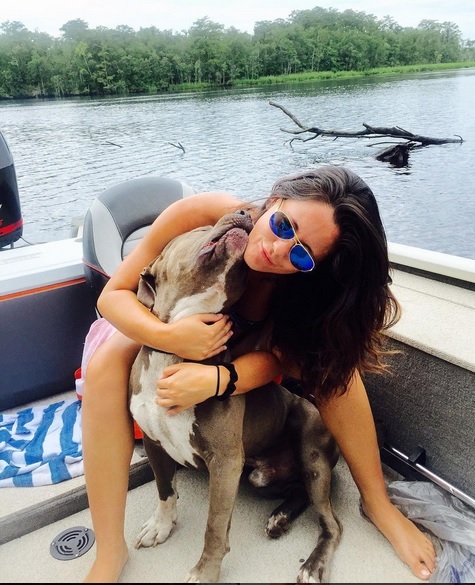 Jenelle Evans Talks Nathan Griffith Proposing; Nathan Is Released From Jail! Aaaahhhh… wedding bells – followed quickly by the sound of a jail cell slamming shut! Jenelle Evans and Nathan Griffith's brief but tumultuous relationship is about to go to the next level. With her divorce to Courtland Rogers almost finalized, Jenelle reveals that Nathan has plans to propose – soonish. “[Nathan] is waiting for the right time and we’re not trying to rush anything,” the Teen Mom 2 star tells Wetpaint. “I still have to get divorced by the end of this month," Jenelle adds.